1. 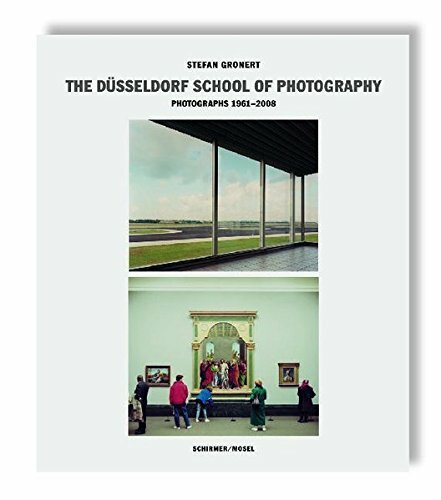 The work and teachings of Hilla and Bernd Becher who in 1976 gave artistic photography an institutional roof at the Düsseldorf Art Academy. 2. Three generations of celebrated artists have since emerged: Thomas Struth, Thomas Ruff and Andreas Gursky, Candida Höfer, Petra Wunderlich, Axel Hütte, Elger Esser, Laurenz Berges et al. 3. And finally the image factory, Grieger Lab, where the artists discovered the technical potential of large format photography. Today, Grieger Lab produces large prints for more than 150 artists the world over. The book offers for the first time an encyclopedic overview of the artists and introduces them with their best-known pictures. There has been no other art movement in Germany since the Bauhaus to possess such a worldwide appeal as this new Düsseldorf School. View More In Collections, Catalogues & Exhibitions. If you have any questions about this product by Schirmer Mosel, contact us by completing and submitting the form below. If you are looking for a specif part number, please include it with your message.